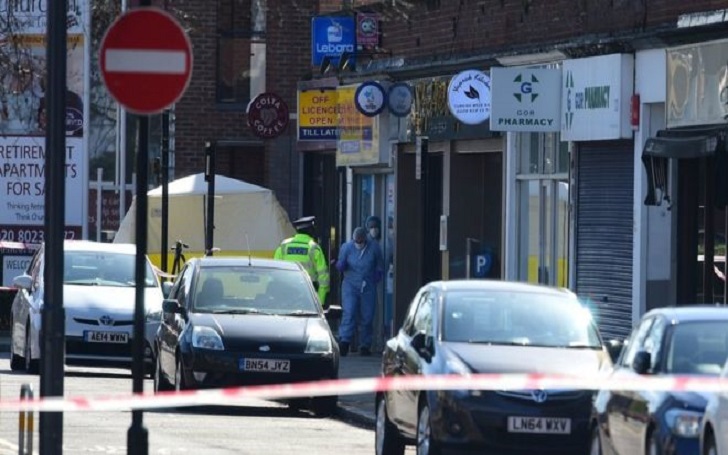 A man has died after being stabbed in Pinner, England during a "violent robbery" on Sunday, March 24, authorities have confirmed. The man of age 54 was reportedly attacked Sunday morning as he opened Marsh Food and Wine in northwest London. According to Scotland Yard, the shop’s till was stolen and may have been dumped by the suspect. Detectives are appealing for anyone who saw a black Vauxhall Astra driven away at a high speed after the stabbing. Officers were called about the incident after which they arrived at the scene in Marsh Road at approx. 6 a.m. Officers and London Ambulance Service paramedics tried to treat him but he was pronounced dead about 45 minutes after being stabbed. The Metropolitan Police has already informed his family. Det Ch Insp Simon Stancombe said of the robbery, "This was a violent robbery that has escalated, resulting in the murder of a man." Marsh Road has been cordoned off and a forensics tent is set up outside Costa Coffee, next to the newsagents.